VIPER stands for Vital Signs and PERformance monitoring. VIPER is a multidisciplinary research unit bridging engineering and life sciences to investigate Human Factors from an integrative perspective. The ultimate goal in performance research is to accurately monitor (being in real time, or offline) or predict the quality of performance. 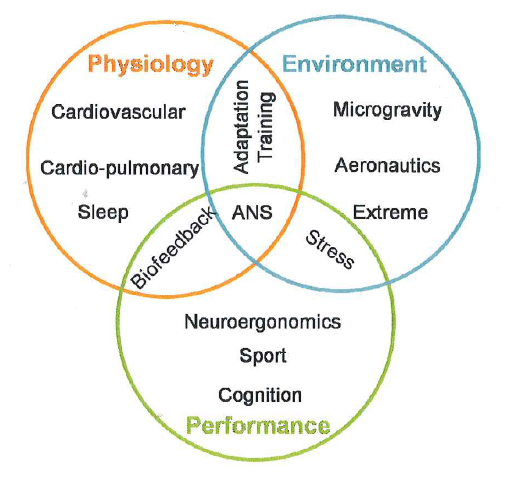 However, performance is a multidimensional construct, encompassing physiological and psychological modalities, for which measurement standards still need to be defined. The research at VIPER aims at refining methods, and gain a better understanding of performance measurements. This is achieved by a synergy between physiology, engineering and psychology. * Thanks to a strong multidisciplinary in-house expertise, built on a rich experience from past projects. * By bridging fundamental research and operational applications. * Through targeted collaborations with ad hoc experts for each project.